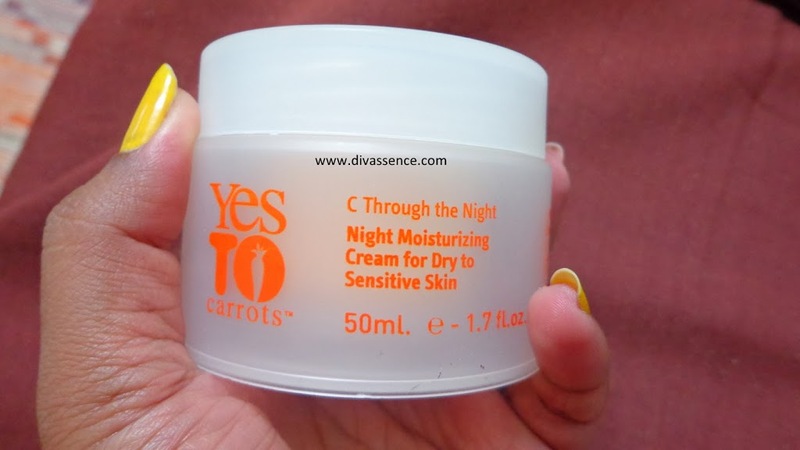 YES To Carrots - C through the Night: Review/Swatches - Divassence! Its 2014. I cannot believe that 2013 just flew by and there were tons of stuff that happened. And I am really excited about ‘14 (those who know it will say “ OBVIOUSLY” 😉 ). Yes to. 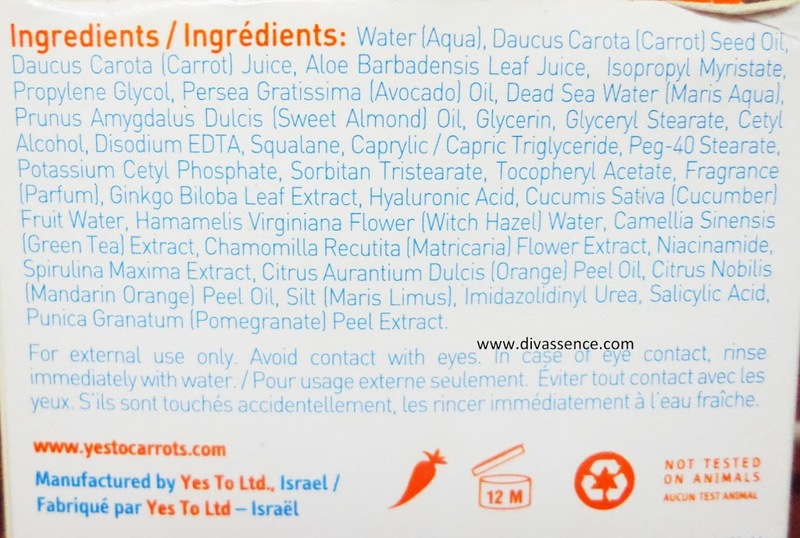 claims to use organic carrots to make this cream. So we can be happy that all those harsh chemicals we are ingesting everyday are not being used on our skin as well (small happiness 🙂 ). The texture of this cream is like butter. Glistening, soft and melts with the heat of our palm. It is a butterscotch colored cream which smells like carrots and milk cream. (the foodie in me just sighed !! ). All I do is scoop up a little, and rub it between the palm of my hands so that this cream melts and then apply over my freshly cleansed face at night. 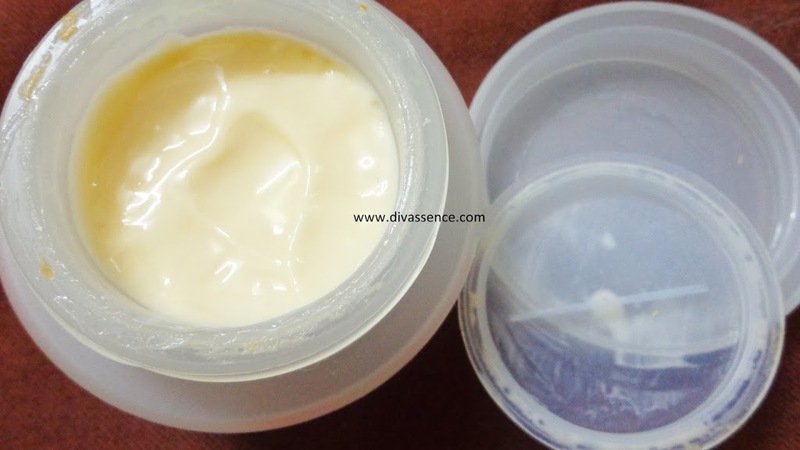 It tingles a bit when applied, but you can feel it being absorbed and leaving your skin moisturized. My skin feels all happy happy to have this treatment. And this yields good results too. You can feel a visible freshness with continuous usage. Yes to. comes in 4 different ranges. 1. Yes to. Carrots is for Normal-dry skin. 2. Yes to. Cucumbers is fro sensitive skin (they use aloe vera with cucumbers). 4. Yes to. Blueberries is for aging / mature skin. Pick the range that suits your skin best and have a blast. Wishing you all Divas a very happy new year! I am using scrub from this range and really like it…this looks nice too! vl check this out!